If you’re searching for a job in the federal government, you’re going to need a resume different from the norm. Writing a resume that gets results is tough. Writing a federal resume? Things just got even more complicated. 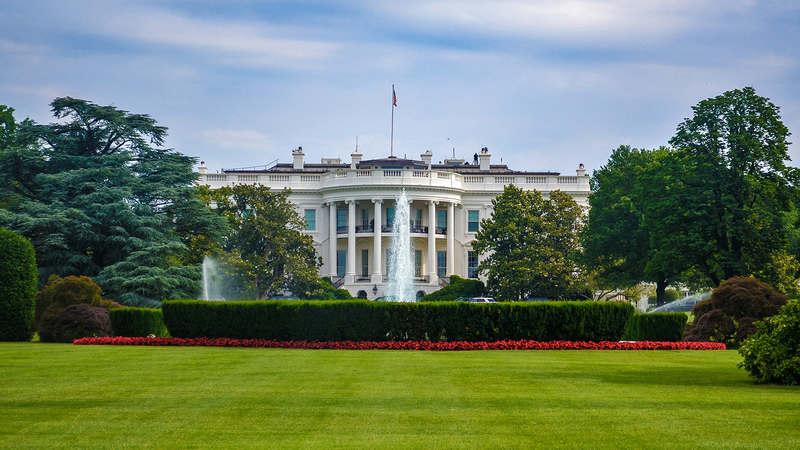 If you’re interested in working for the U.S. government, your traditional resume will need to undergo a serious overhaul to meet the strict application requirements. The rules for writing a federal resume are different than those for a professional resume; from page length to the number of details on your education, the resume format is a whole different game when you have your eyes set on a career in government. To get a better understanding of the differences between a federal resume and one for the traditional job search, we sat down with TC Paulson, one of TopResume’s senior resume writers. Along the way, she shared her top tips for writing a successful federal resume that will help you get the interview and explained how TopResume can help write your federal resume. TopResume: Why do job seekers need a special resume when applying for a position in the federal government? TC Paulson: The federal application path itself is a more lengthy, involved, and comprehensive journey, so your resume needs to reflect that. However, it’s not just about developing a resume as complex as a government process — there are lots of required elements you won’t find in a typical corporate hiring process, and it’s important that you include them all. TR: So a federal resume is different. What does it look like? TP: First and foremost, you can expect a federal resume to be longer than a private sector one. A typical private-sector resume will be 1–2 pages in length, but to include all the critical data essential for the federal application process you might find yourself needing 3-7 pages for your resume, depending on the length and breadth of your work experience. TR: What should a federal resume include? TP: Like any traditional resume, a federal resume is a key tool in the first phase of the job application process. It is designed to showcase that you have the required qualifications for the specific job you are targeting. A federal resume needs to keep pace with government policies and procedures for hiring, which means following mandated changes required by the Office of Personnel Management (OPM). It’s important that you redesign your resume so it complies with the core elements required by the majority of government agencies, all while, of course, including unique aspects of each specific job. It should detail the key aspects of your qualifications, including your experience, education, certifications, and any other relevant data. In addition, the header should contain your personal data including your name, contact information, citizenship, Veterans Preference, and federal employment history (as applicable). This section doesn’t start off too differently from a traditional resume: Begin with your experience. List your professional and/or military career history with your role titles, employers’ names, and a detailed description of each job so the reviewer knows your daily responsibilities. Be sure to highlight your key achievements so you display your individual value. Then, add an extra layer of information to satisfy the requirements for a federal resume, such as the start and end months of each job, your salary, hours worked per week, and your supervisor's’ contact information. While you generally include education and degrees on a traditional resume, a federal resume requires you to dig much further into the details of your educational background. This means your GPA, credit hours earned, date of degree completion, and any awards or special recognition you may have earned along the way. Yep. They want it all. Earned a certificate? Finished a course or training program? They want to know about it when you’re applying to work in the U.S. government. And don’t forget to name the granting organization and date you completed the program! They may not fit into any other category, but they’re still necessary to include on a federal resume. If you’re part of any associations, have given presentations, or written publications, include these details in your resume. Also, if you speak any other languages or are proficient in certain technologies, include those as well. And last but certainly not least, include a list of references, the nature of your relationship with each person, and their contact information. These can be past supervisors, managers, mentors, or even colleagues — just make sure they’re willing and ready to talk you up. See why federal resumes are longer? TR: What is a vacancy announcement and why is it important when writing a federal resume? TP: A vacancy announcement is the federal version of a private sector job posting. Just like we recommend targeting a traditional resume toward your specific job goals, your federal resume should also highlight your qualifications for the specific job you’re targeting in your job search. Hiring managers — whether they’re working for the federal government or for the private sector — don’t appreciate a resume that takes the “jack of all trades” approach. Customize your resume to demonstrate how you’re a good fit for the role you’re pursuing, and your application will stand a better chance of making it to the top of the pile. The vacancy announcement is a great place to source the information you’ll need to customize your federal resume — in fact, it’s required! Because of the strong focus on addressing core elements of specific vacancies or job series, a federal resume must include key details of the vacancy announcement as required by the Office of Personnel Management (OPM) and the agency posting the opening. It’s important to pay attention to this key piece of information so you can craft the most effective resume possible. 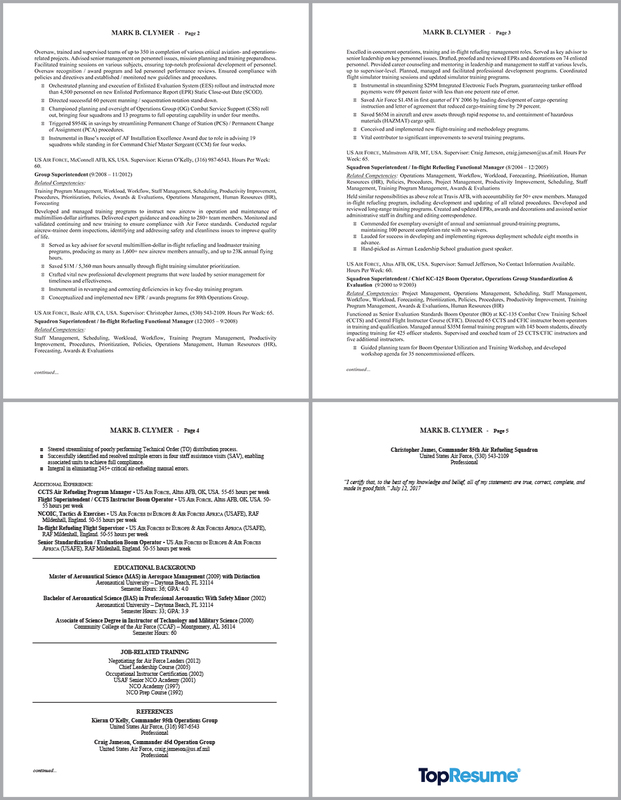 TR: Is it really necessary to employ a resume-writing service to write a federal resume? TP: You can certainly write your federal resume on your own, but letting a professional resume-writing service like TopResume do it for you will save you time and, more importantly, optimize your chances of landing the interview. Resume writing is a crucial part of landing the position you want, so why not leave this sensitive and complex job to an expert? Our federal resume writers are carefully selected to ensure that they are knowledgeable of the general application process for federal jobs, the structure of the USAJOBS website, the elements of a vacancy announcement, and TopResume’s resume-writing standards. Armed with your critical information and their expert knowledge of the process, your TopResume federal resume writer will craft a federal resume that will leave you feeling confident in your applications. TR: What tips can you give to someone looking to use a federal resume-writing service? TP: Your federal resume will go through a scoring process when you apply for a job. To help you score higher, your federal resume writer will need your help! Thoroughly review the requirements in the vacancy announcement and select the details and achievements from your background that align with those requirements. As you invest in this service, take the time to provide your writer with comprehensive information, quantifiable data, and specific achievements. With this, your professional resume writer will be able to develop an interview-winning document for you. After your writer has delivered your final document, the rest is up to you. Follow the directions in the application process and pay attention to additional questions or essay requirements. And of course, be mindful of the application deadline! Click on the following link for more information on what to include in your federal resume. Looking for a position in the federal workforce? 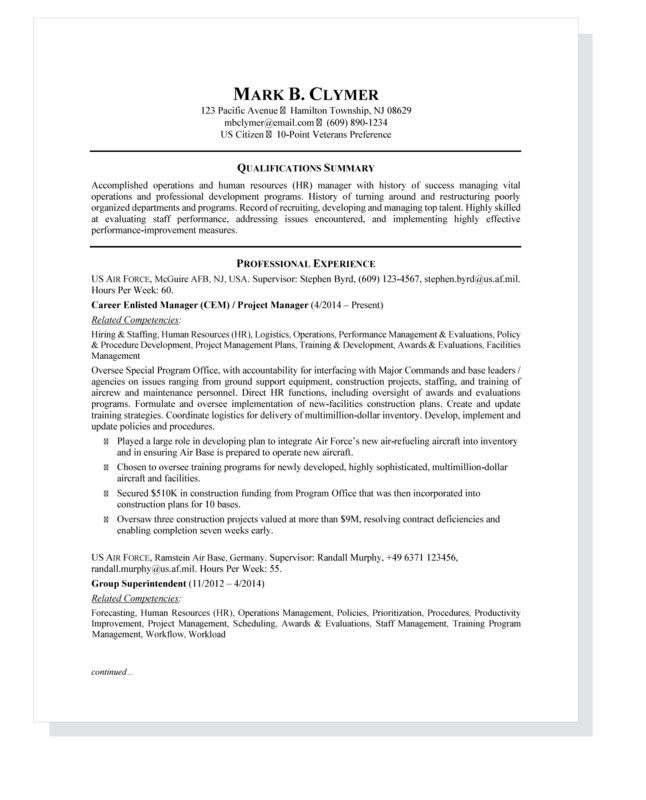 Hire a TopResume federal resume writer today!